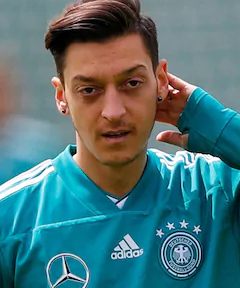 One of the popular professional football Player is named as Mesut Ozil who plays for Arsenal FC and Germany National Team. He is a well known German celebrity. He is famous for contribution in professional life. He is best at attacking midfielder position. Currently, he is playing in Arsenal FC. He had played for Schalke 04, Real Madrid and many more clubs. He is left foot player. His Shirt number is 10 for Germany national team and 11 for Arsenal FC. Toni Kroos is one of his best teammates. He had represented himself in Russia for the World Cup 2018 as a part of the Germany national team by showing his talent to all. German Professional Footballer who plays for Premier League Club Arsenal. Passionate and enthusiastic player, Ozil was born on 15th October, 1988. He was born and raised in Gelsenkirchen, city of West Germany. He is the son of Mustafa Ozil and Gulizar Ozil, his father and mother. He also has brother named Mutlu Ozil and sisters named Dugyu Ozil and Nese Ozil. His nationality is German. His astrological sign is Libra. His religion is Islam. He belongs to Turkish ethnicity. He attended to Berfer-Feld school. At the small age, he began his career with football. He has got a great personality. Talking about his body, his height is 1.83 m. His weight is of 76 Kg. His eye color is Light Brown and hair color is Dark Brown. He has a balanced body with good health. He has an attractive body figure. His smiling face and charming personality have helped him to gain the attention of all the viewers. From the year of 2006, Ozil started his professional football career by joining the German professional club Schalke 04. He was described as "the next big thing" at the time of his debut. Later, he proved himself as a better player in Ligapokal matches against Bayer Leverkusen and Bayern Munich by playing as attacking midfielder. His two seasons with Schalke 04 club ended up with a total of 30 appearances without any goal. On 31st January 2008, he shifted to the club Werder Bremen by signing to a three-year contract with this club. On 26th April 2008, he scored his first professional goal in the Bundesliga. He finished his two seasons with this club, Werder Bremen ended with a total of 71 matches and with 13 goal kicks. After playing on Werfer Bremen, he made his move to the club, Real Madrid on 17 August 2010. On 22nd August 2010, he made his debut in a friendly match against Hercules. His next debut for La Liga came on 4th September 2010, in a match against Mallorca. He played for the club, Real Madrid for three years. In this club, Real Madrid he appeared in 105 games and scored 19 goals. Ozil was the key player of the team that won La Liga in 2012. On 2 September 2013, he transferred to the Aresenal FC, an English club. On 14 September 2013, Ozil made his team debut, in a league game against Sunderland. Currently, he is playing for Arsenal. He had represented himself in his national country, German in both senior as well as junior levels in many tournaments. He was named the Man of the Match in the U-21 European Championship final. On 11th February 2009, his senior international debut came against Norway in a friendly match. He was selected for Germany's squad for the 2010 FIFA World Cup in South Africa. He also played in the UEFA Euro 2012 and 2016. In the 2014 FIFA World Cup qualification campaign, he ended as Germany's top scorer with eight goals. He was also the member of the team which won the World Cup 2014 along with Toni Kroos, Manuel Neuer, Marco Reus and many more. He has won over 88 caps for his national side scoring 22 goals. His name was also enlisted in the squad of Germany national team in this World cup 2018 Russia. He had played altogether 2 matches. He made no goals in this World cup. Mesut Ozil is neither married nor single. He is engaged to his loving partner, Amine Gulse, former Miss Turkey. On May 3, 2017, the engagement ceremony was held in Germany among his family and friends. The couple doesn't have a child till now. They seem to be very happy with each other. The couple makes public appearances together often. There is no any sign of Separation between them. They are living peacefully. 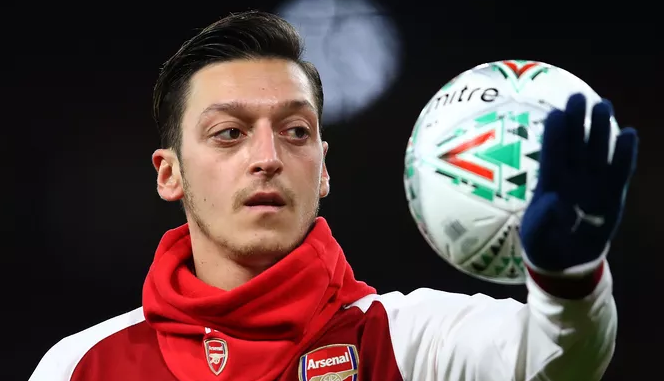 The net worth of Ozil is estimated to have $50 million in 2018 with all of his properties and incomes. He is receiving a salary of $23 million from his present club. His current market value is $53 Million.